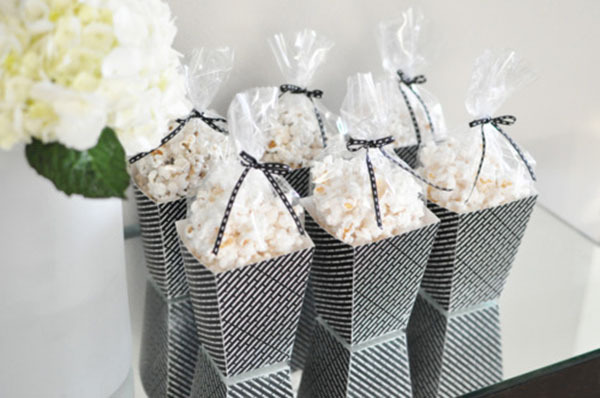 You can’t think of The Oscars without thinking of the movies and nothing is better with movies than popcorn! 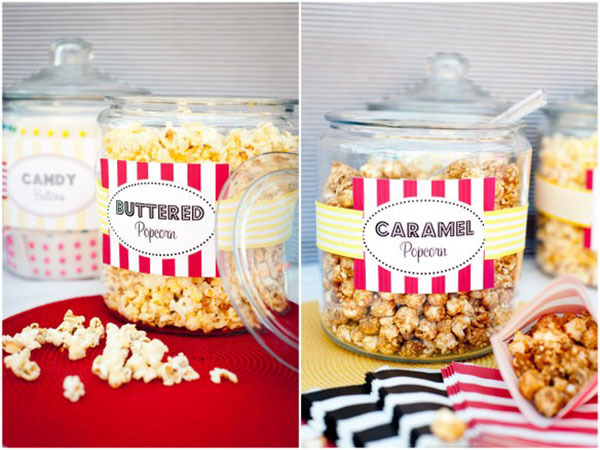 Popcorn is one of our favorite party snacks. 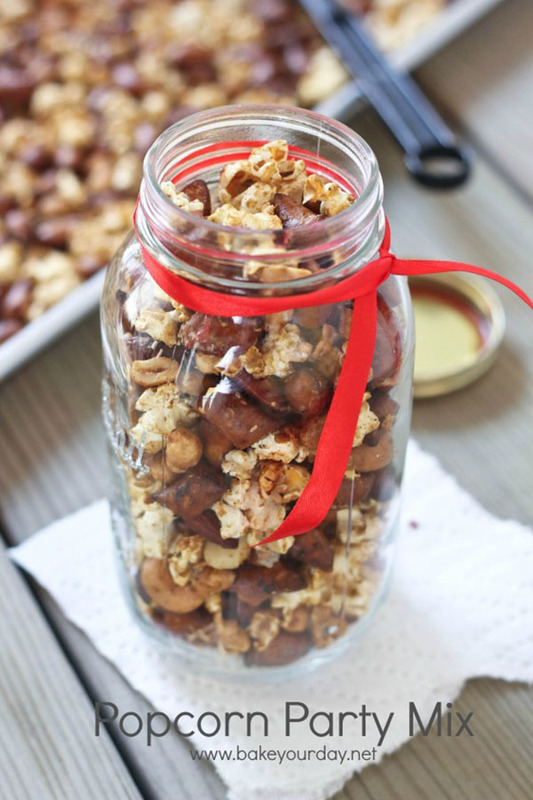 It comes in all sorts of yummy flavors, easy to eat and pretty inexpensive as far as snacks go! 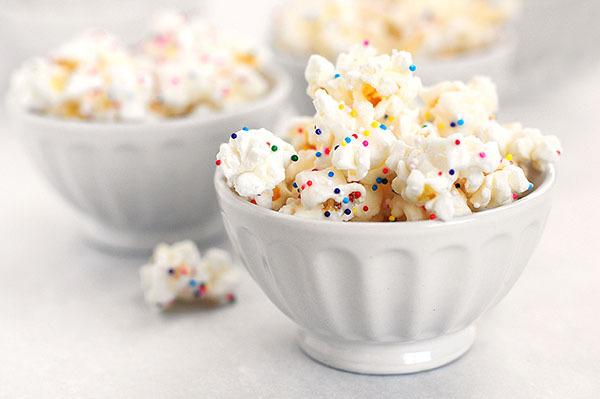 The great thing about popcorn is you can put it in almost anything. 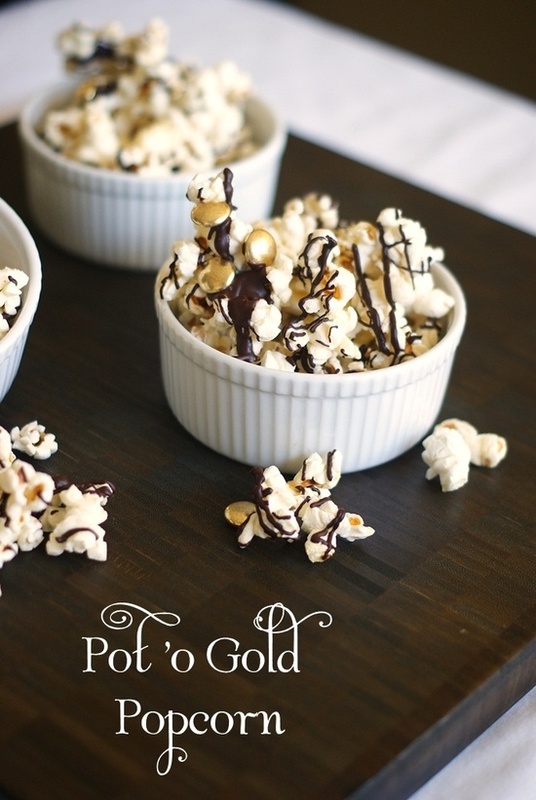 Obviously the first thought is a bowl but today we are going to show you all sorts of other lovely ways to make popcorn the shining star of your party. 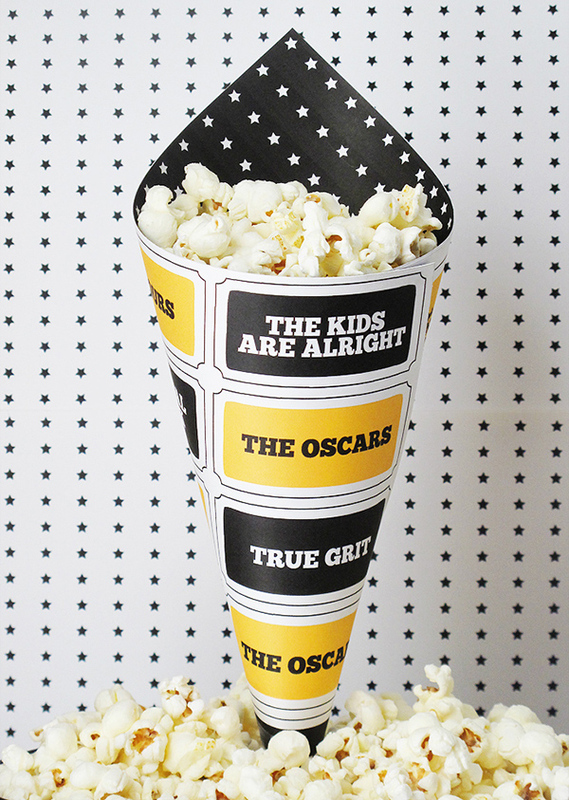 The easy, easy way of displaying your Oscar party popcorn is in a DIY paper cone. 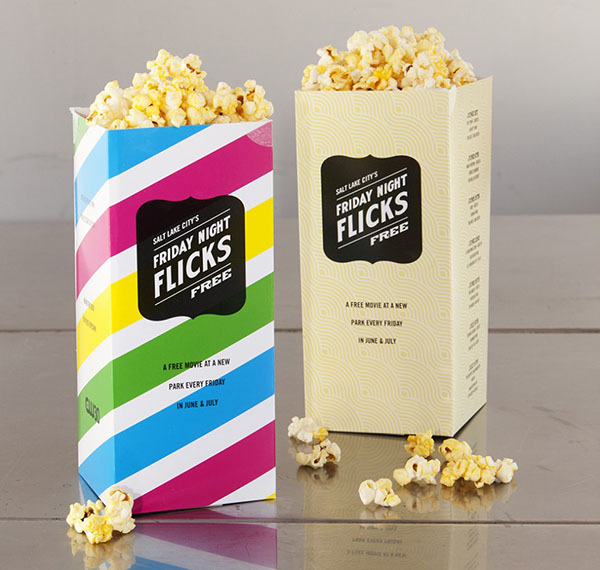 Just get your favorite paper design and some tape and you have an awesome look in no time. 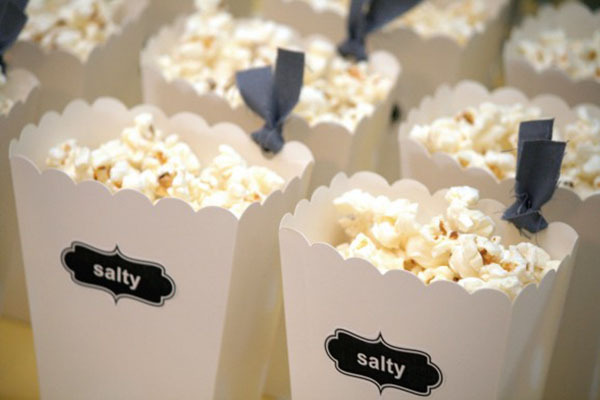 Truly it is that simple! 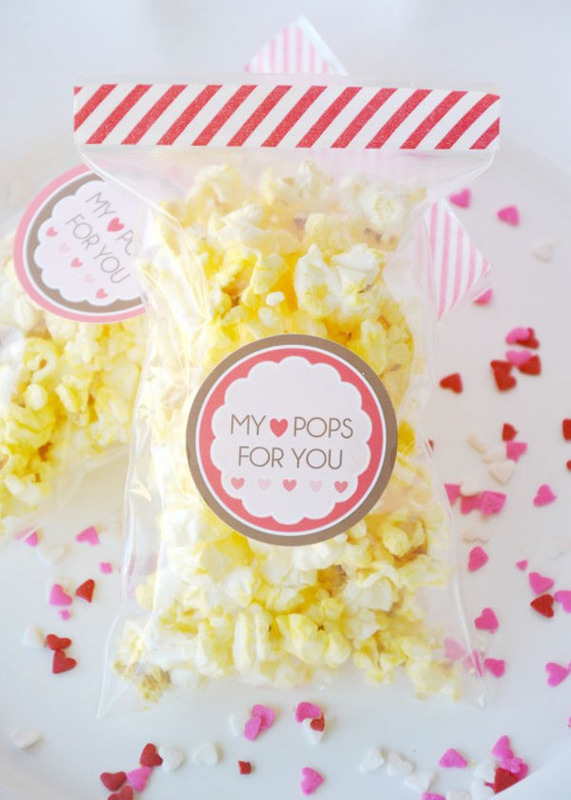 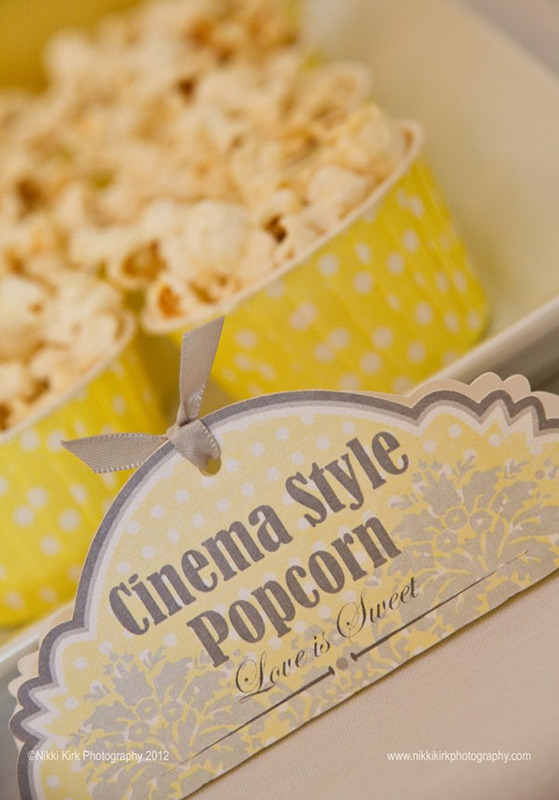 There are lots of other fabulous ways of displaying your popcorn though and we have rounded up our favorites. 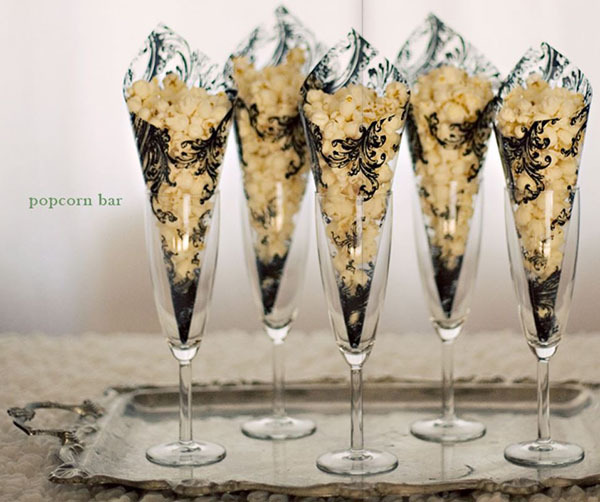 Let’s get to this cinema eye candy!